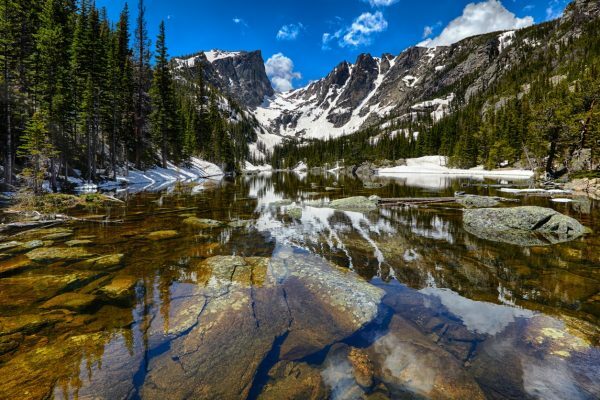 When we began to plan posts on the National Parks, Rocky Mountain National Park was the most visited among the Go to Travel Gal team, and in fact, it is one of the most popular National Parks with more than 3 million people visiting every year. We’ve compiled our collective wisdom and experience in this ultimate guide to Rocky Mountain National Park to help you on your next visit to this Colorado gem. Rocky Mountain National Park is one of the more accessible National Parks, as it’s located just west of Denver, a major city with an international airport. 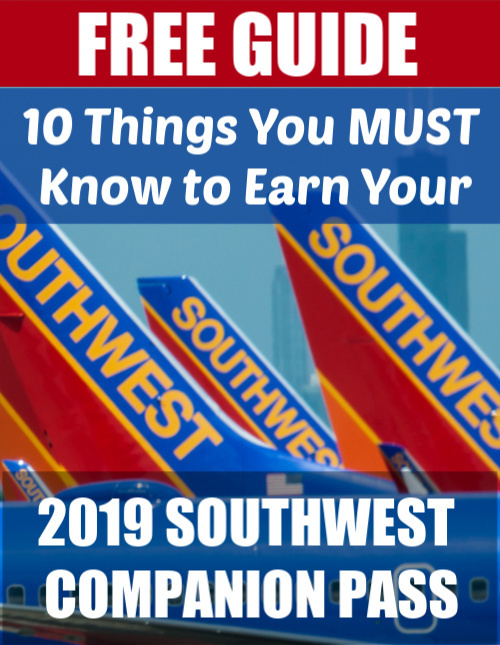 Southwest fans can fly into Denver on Southwest, using their Southwest Companion Pass, so one person can fly free, along with Southwest points to cover everyone else. Of course, you can pay in cash, too! If you plan to drive through the park, allot most of your day to this activity. There are many points where traffic slows to a crawl, especially if some wildlife is spotted by the side of the road! Allow even more time if you want to hike inside the park, as the hike alone could take several hours depending on which hike you choose. See our picks for best hikes in Rocky Mountain National Park below. The most popular driving route is the 11-mile Trail Ridge Road, which is the highest continuously-paved highway in North America. Another option is Bear Lake Road, which is 23 miles round-trip to Bear Lake, one of the busiest areas of the park. There are also several hiking trails that start at this lake. 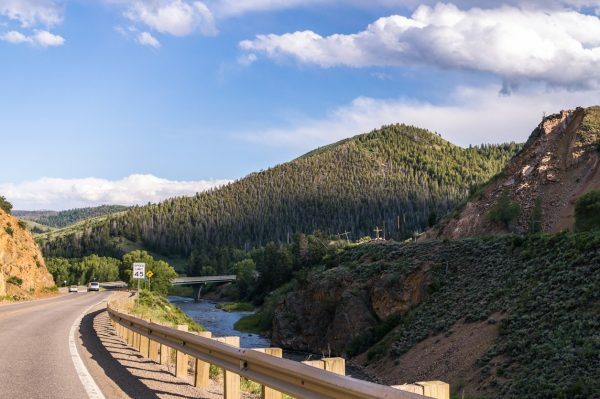 See this Rocky Mountain National Park map for driving directions and here are some tips to help your car handle the steep inclines and declines. Parking is also likely to be a challenge during busier months, and you may not be able to find a parking spot at the key places you want to stop. The solution? Park at the Estes Park Visitors Center and take the free shuttle into the park. This is ideal for hikers, as it drops you off close to your trailhead, no parking stress required! Note: The shuttle bus does not operate on the west side of the park, so check the map here first to make sure it goes where you need. The park is open 24 hours a day 365 days a year, and entrance fees are $25 per car for a day pass, $35 per car for a seven-day pass or $70 for an annual pass. You can also purchase a seven-day motorcycle pass for $30. Senior citizens can purchase a lifetime senior pass that covers ALL national parks for $80 or instead choose a $20 annual pass. Don’t forget if you have a 4th grader, your whole family gets into National Parks free during their school year and the following summer as part of the Every Kid in a Park Program. When visiting Rocky Mountain National Park, you have two main towns that are closest to the park: Estes Park and Grand Lake. 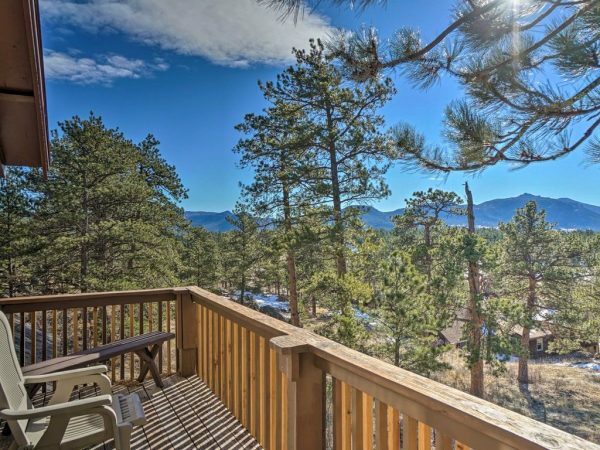 Estes Park is the busier and more popular of the two, and accommodations will fill quickly in the summer and fall months. Making your reservations in advance is ideal. The town of Grand Lake with its beautiful mountain backdrop, provides many cabins and Airbnb rentals and is situated on the west, less-busy side of the park. It’s so named for Grand Lake, which is Colorado’s largest natural lake. You can rent boats on the lake in the summer and snowmobile nearby in the winter. There’s shopping on the downtown boardwalk, and be sure to have a meal at Pancho & Lefty’s, a popular Mexican restaurant with a view of Grand Lake and patio seating in the summer. 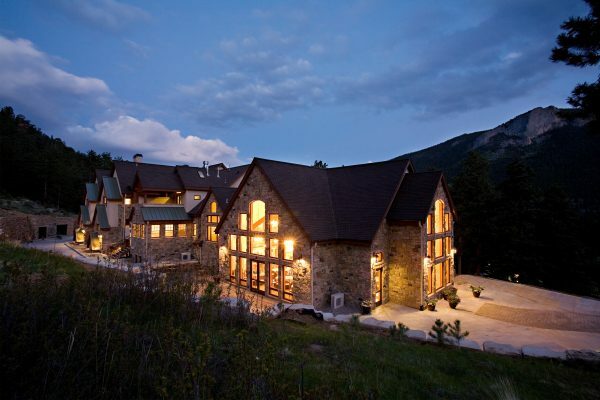 Here are two great hotels near Rocky Mountain National Park. Remember “The Shining”? 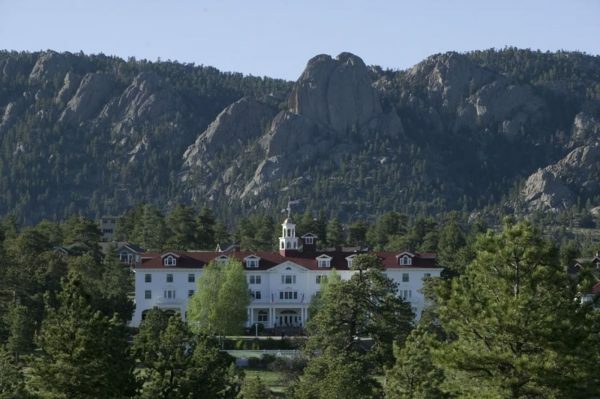 Author Stephen King was inspired to write the creepy novel about a hotel after a stay at The Stanley! But this is a classic grand hotel in a picturesque mountain setting, overlooking the park. The property offers four different types of accommodations, including the historic portion, which opened in 1909; boutique-style rooms; apartment-like suites; and private condo residences. Located at the Fall River entrance to the park, the Della Terra Mountain Chateau is an upscale inn set on 14 acres. A family-owned property, the Chateau features a spa and a choice of a luxury suite or mountain cabin built in the early 1900s for your stay. Here are some of our recommended Rocky Mountain National Park campgrounds and camping options. 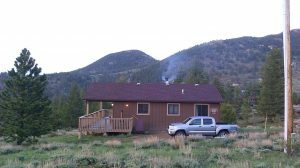 YMCA of the Rockies in Estes Park offers cabins and lodges that sleep up to 10 guests and are very affordable. There are lots of activities for kids and families such as mini golf, campfires, challenge courses, swimming, roller skating, and crafts. You can also hike directly into the park from your cabin at the resort, so you can skip the whole “trying to find a parking spot” issue :). 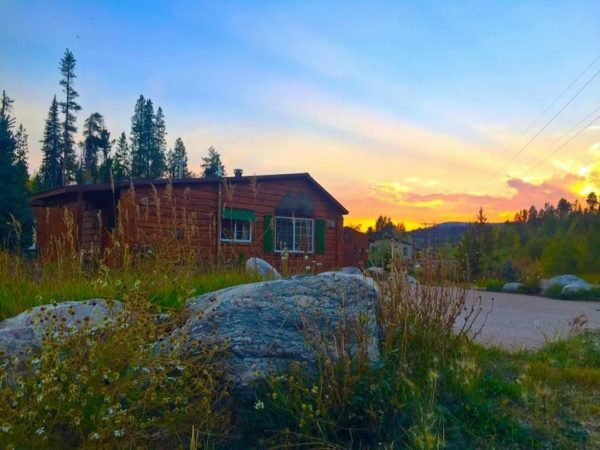 Jellystone Park, a family-friendly campground and resort with non-rustic “camping” and RV sites, is just 10 miles from Rocky Mountain National Park. They have a swimming pool, the popular candy bar bingo, theme nights and laser tag. You can also camp right inside the park, which is a great way to beat the crowds in the morning and be there after they leave in the evening. You can also choose campsites in the park’s backcountry, which is less crowded. Campsites inside the park are $26 per night in summer and $18 per night in winter. Note: This portion contains affiliate links for which the blog may earn a commission if you make a purchase after clicking through. 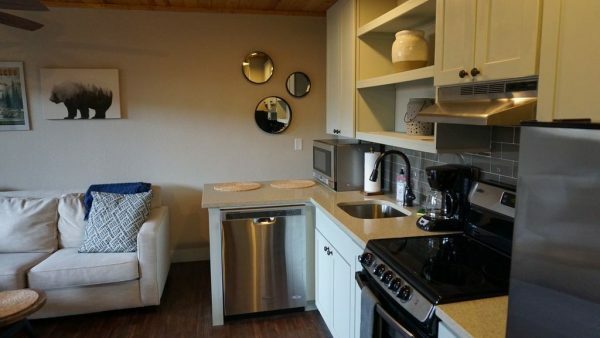 If you want to spread out, have access to a washer/dryer and be able to cook meals in your accommodations, a HomeAway vacation rental is a great option! These dates also largely fall on weekends, so try to visit during the week if you can and better yet, arrive before 10 a.m. when parking tends to fill up. 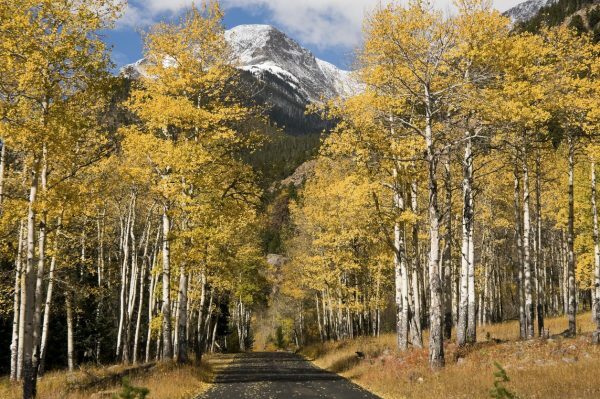 Fall is an amazing time to visit Rocky Mountain National Park when the aspen trees turn golden! Fall is a lovely time to visit, as it’s elk mating season, and you can often hear them making their characteristic “bugle” call throughout this time. Mid-September is also when the aspen leaves turn gold, which is a bucket list site to see for sure! Just be prepared for snow! If you want to see mountain wildflowers, late spring and summer are the best times to catch the blooms. The weather in the mountains can change quickly. Be prepared for late afternoon thunderstorms in the summer and even hail in the spring or fall. Also, snow stays around later and comes earlier than you might expect in other parts of the country. Cami saw snow in September, and Lyn has been caught in a snowstorm in October. It’s also very often early June before the snow largely melts (though you will still see snow at the higher elevations). You can check the current Rocky Mountain National Park weather conditions here. 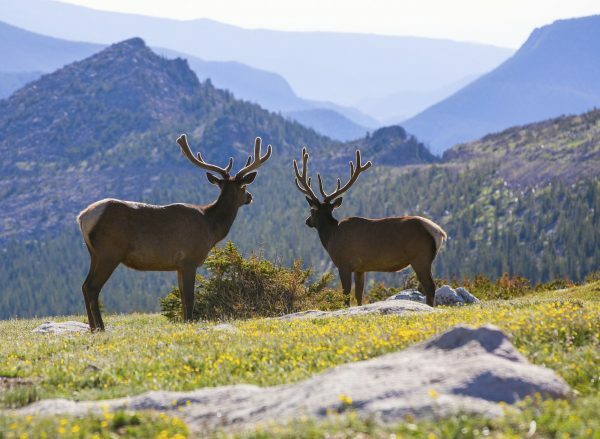 Spotting wildlife is a great activity inside Rocky Mountain National Park. Your best bets to see the creatures of the park are early morning or early evening. Animals that live in the park range from mule deer and elk to smaller creatures like the super cute marmot often spotted sunning on rocks, as well as beavers and badgers. Moose, bear and mountain lion also call the park home. If you enjoy birding, there are also plentiful birds, especially during the summer. When Lyn visited with her family, they saw a large elk lounging by the side of the road, as well as big-horned sheep on the east side of the park. If you like fly fishing, the confluence of the rivers in the Y camp is the place to go with waders. Cami’s husband came face to face with three bull elk once while fishing there. Take advantage of this park’s high altitude by visiting the Continental Divide, which runs north and south through the Park. You’re at what amounts to being on the top of a steep “roof” with water west of the Divide draining toward the Pacific Ocean. Water to the the east will ultimately end up in the Atlantic. Rock climbing is a popular activity inside the park, especially during the summer and fall months. Check out Lumpy Ridge with its granite walls and climbs with names like Batman and The Pear. More advanced rock climbers may want to head to Longs Peak at more than 14,000 feet in elevation. 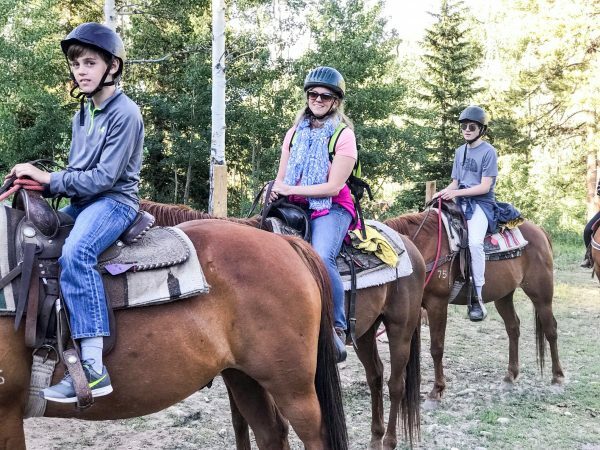 Riding horses through the Rocky Mountains is a must-do. There’s nothing quite like letting a horse navigate you to your destination as you communicate with it through your body and the reins. There are 260 miles of trails used for horseback riding inside the park, and there are many options for guided trail rides or a tour. Here are some of the best hikes in Rocky Mountain National Park as recommended by the Go to Travel Gal team. 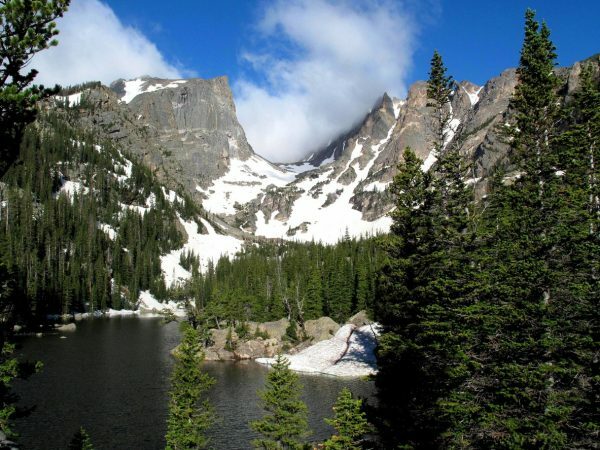 Find a complete list of Rocky Mountain National Park hikes here. Because this is one of the most popular areas of the park, you are unlikely to find a parking spot during the busy summer and fall months. The shuttle bus (see above) may be your only option to access this area! This is an easy .6 mile loop and nature trail great for families or those who aren’t look to overly-exert themselves at the high elevation. From this trailhead, you can access many different hikes, including hikes to several different waterfalls and lakes. Choose from Copeland Falls, about .6 miles roundtrip, all the way to Lion Lake, a 14-mile hike roundtrip. These hikes are some of the park’s most popular, because of their incredible views, but beware that during summer months they will be filled with people, as they too, are accessed from the Bear Lake Trailhead. Nymph Lake is the shortest at a mile roundtrip and Emerald Lake the longest at about 4 miles roundtrip. Cami says Dream Lake, a just more than 2-mile roundtrip hike, is one of her most favorite places on earth, as it’s absolutely gorgeous with perfectly clear water. She recommends packing a fly rod to enjoy catch-and-release fishing. If you enjoy a reward at the end of your hike, choose a Rocky Mountain National Park hike that ends at a waterfall. There are at least five options, including Timberline Falls. Located on the East side, this 4-mile hike gains about 1,500 feet in elevation. Want more great Rocky Mountain hikes? Try this bucket list hike from Aspen to Crested Butte. 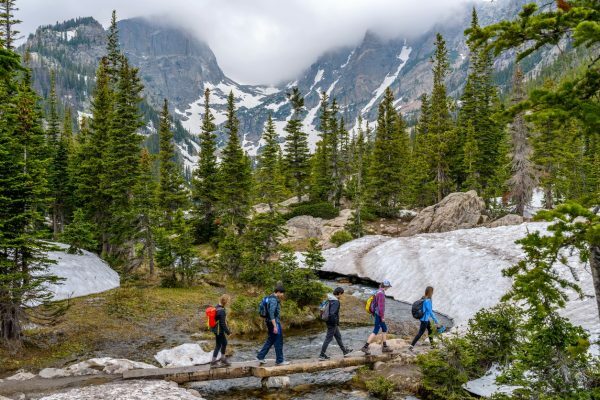 The temperatures in Rocky Mountain National Park can vary wildly as you change elevation, so bring many different layers of clothes that you can add or remove. Lyn also always recommends a poncho or rain-resistant light coat, as her family has been caught in an afternoon thunderstorm on a hike through the Rocky Mountains! The Rocky Mountains (and Denver, known as the “mile-high city”) sit at a higher elevation, which is both closer to the sun and drier. Some people even experience altitude sickness. The cure for it all is water — and lots of it! Bring three times as much water as you think you might need, as most of us go through it very quickly! The areas’ high-altitude setting is a blessing, allowing beautiful, scenic views that are hard to beat. It’s also a curse: hiking up and down trails can be really tough on your knees. You can buy (good ones are expensive) or rent hiking poles which, when used properly, will take pressure off your joints as you go uphill. They can help you “catapult” onto the next step, rock or boulder. Similarly, going down hill, which would appear to be less strenuous, can be just as tough on your knees. Hiking poles arrest your momentum downhill and reduce the impact on your legs. An added bonus: hiking poles require your arms and shoulders to do more work, which helps strengthen those muscles, which usually go unchallenged on trail hikes. Don’t forget your dutch oven. One of the best parts of camping is fireside cooking. Dutch ovens are made of cast iron and need to be seasoned before use. If you don’t have one, get a used one. These cooking pots are virtually indestructible and will last generations. The older the better. These squat pots have a lid, with a wire handle, and rest on three squat legs. You put charcoal or wood embers on the lid and underneath the pot, so there’s no need to put it on a flame. Start with some basic recipes (cobbler, pineapple upside down cake and stroganoff are classics), and you’ll have the whole family clamoring for more. Make sure to bring pot holders to move the Dutch oven when hot; channel locks, or tongue-and-groove pliers are helpful in lifting the lid. No campout is complete without a fire, S’mores and tales told around the fire pit. 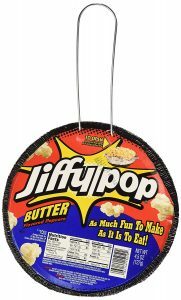 This is also a good time to reintroduce Jiffy Pop to younger generations. This product includes popcorn kernels, oil and seasonings in one package with a foil pan that can go directly onto the flames or embers. In no time, you’ll have fresh popcorn! Want more National Park tips? –> Check out our post on 7 Top Tips for Visiting Our National Parks. What Rocky Mountain National Park tips do you have?